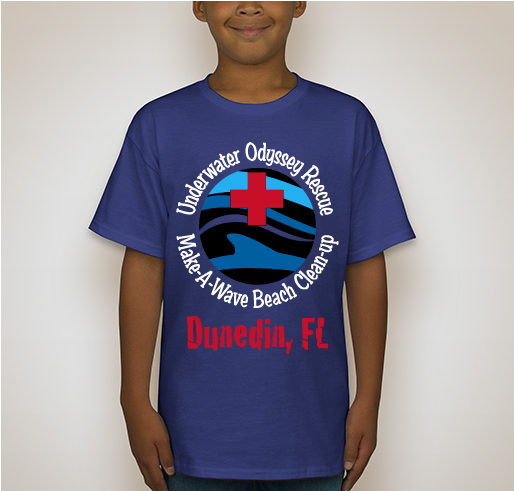 Underwater Odyssey Rescue is making waves for our very first clean planet initiative. 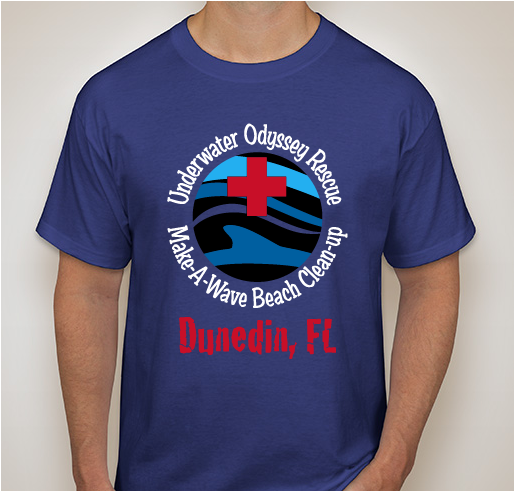 All funds raised will go directly to Underwater Odyssey Rescue . 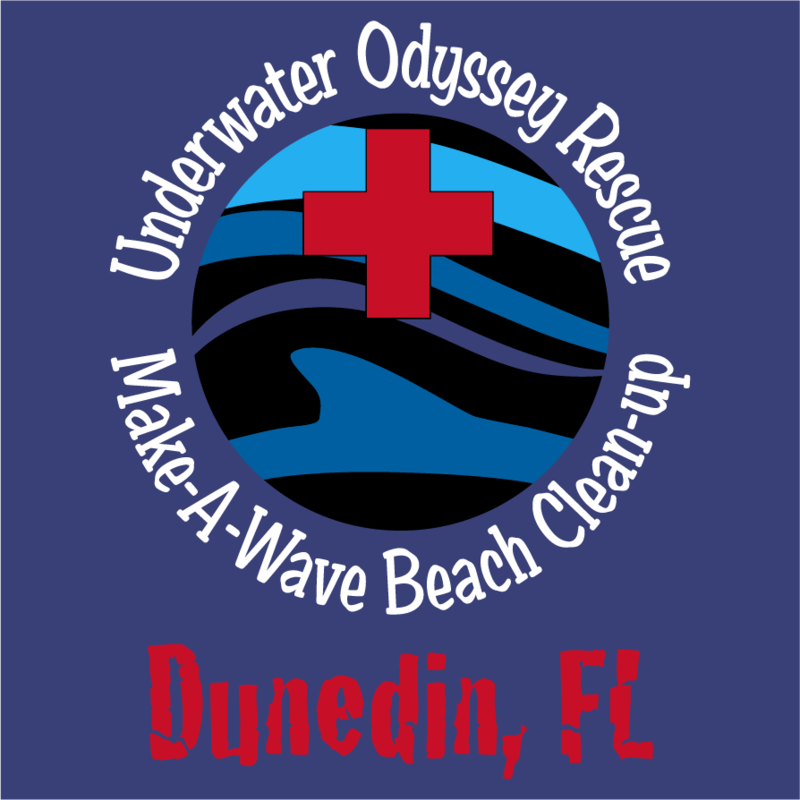 All the money raised from this fundraiser will go towards Underwater Odyssey Rescue's purchasing the supplies necessary for our Inaugural Make-A-Wave Beach Clean-up being held Saturday, June 2, 2018 in Dunedin, Florida, at Dunedin Causeway Beach, and to ensure that UOR can continue with our clean planet initiative. UOR will use funds generated beyond the cost of the event towards future events like this one and to help raise awareness of our passion and our vision. 4/4 - Secured the date with the city, receive donation of garbage bags from the City of Dunedin, Confirmed a donation for a corresponding online auction being held 6/2 and 6/3. 4/5 - Designed a flyer to promote our Make-A-Wave fundraiser and we are currently looking for printer that can work with us to print 3000 half page flyers that our volunteers will pass out through out our campaign. We've also begun working on another half page flyer to recruit sponsors for Make-A-Wave Dunedin, and future UOR initiatives. 2 shirts sold, 148 more to go! 4/6 - We have sold 3 more shirts today towards our goal and. . . We have found a local printer to sponsor our fundraiser by proving UOR with 3000 full color half page flyers, that our volunteers will begin distributing next week!!!! Today is a great day for Underwater Odyssey Rescue and for our oceans. 4/10 - We've picked up our 3000 flyers and will begin to distribute them through out the local area, the rain isn't helping but we are dropping flyers off with local schools and businesses today. We are also working on sponsorship and membership packages, and updating our website with the Make-A-Wave initiative. Underwater Odyssey Rescue(UOR) is determined to become an international leader for marine life conservation and rehabilitation. Future plans for UOR include the development of a research and education center. UOR will accomplish our mission by working with professionals and community members who are committed to serving our cause through volunteerism. It is our goal to be able to provide compassionate care to our patients, providing emergency marine life care, transportation, rehabilitation, and successful release. To offer a specific goal oriented approach to the rehabilitation of marine animals. Each rehabilitation plan will be created to meet individual animal needs, reaching many unique milestones during progression. Our team is dedicated to providing the highest quality of care throughout this process. In our commitment to the development of knowledge UOR will offer on site educational programs for visitors, opportunities for hands-on experiences, as well as many learning stations within our facilities. UOR has aspirations to become a teaching center that will attract professionals and students from all over the world to our flagship rehabilitation center. Through continuing education, Underwater Odyssey Rescue’s employees and visitors will be equipped to act as ambassadors for the ocean and its marine life community. Our mission can be accomplished with one word. Determination. We are determined to ensure that the oceans, which provide for us all, are effectively managed worldwide as a precious and sustainable resource. Share Why You Support "Underwater Odyssey Rescue is making waves for our very first clean planet initiative."